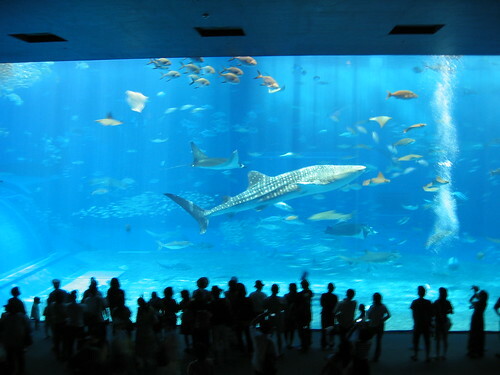 Churaumi aquarium keeping the world biggest water tank made me totally excited viewing whale shark seven meters long in front of my eyes! Spectacular views from so many species attracted me all through staying there. We drove to northmost point of Okinawa. On the way reaching there, visiting local markets and looking around seaside gave me another fun, an experience of nearly untouched community from industrialized or westernized Japanese society. Yes, I had half day to return back to Korea! The last night only with my friend was complete full of awamori. Shurijo castle? Chinese style castle in Japan! Historical fact shows that Ryukyu Kingdom centered in this castle lasted over 500 years independent from main land regime, maybe, due to geographical separation. You can imagine it from world wide map, if available. Trade over Asian region and diplomatic practices with China played a great role in forming Ryukyu culture. Imported Thailand rice gave birth to awamori distilled from it. 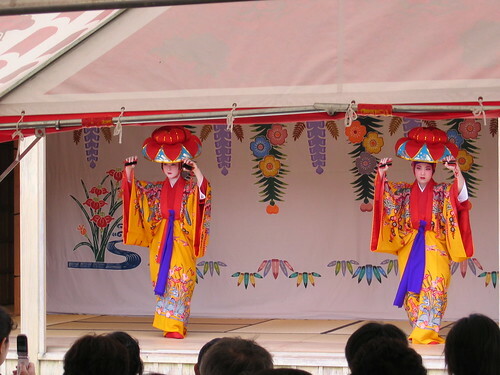 Ryukyu dance reflects inferiority in relation with China. Sefa Utaki, the sacred place believed to be created by goddess of Okinawa, had a view point toward Kudaka island also sacred. There was nothing in particular for me except triangular shaped stone tunnel naturally (I am not sure) eroded. The whole area is a world heritage. The third visit place, theme park for cultural experience, was just so so. We returned back to Nago a little earlier; We dove into awamori pool earlier, too. Another ex-JOCVs joined dinner with us. June 28, I swore that I would complete full verision of travel itinerary in Okinawa. Hmm... It is nearly five months since my escape from awamori swimming pool. :) At last, let me sketch something Okinawan starting this scratching. It was a museum keeping typical items, such as miniatures of war fields, photos of war veterans, documentaries of war in live, and so on. However, my intention was to visit memorial stones located along the seashore, in front of it. 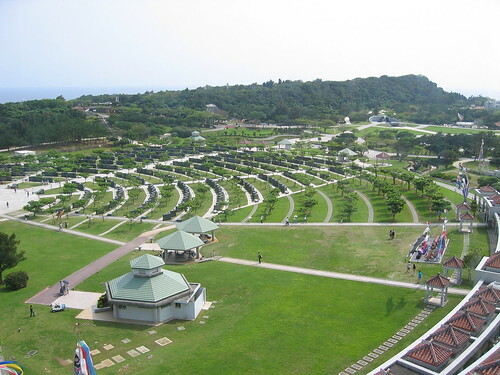 Names of war victims including around 90 Korean were inscribed to propitiate their souls. God bless all of them! Facing awamori at dinner was a peculiar experience in drinking life. High rate alcohol volume like whiskey made me drunken but feeling high spirit. Another delight was drinking over fresh seafood with ex-JOCVs in Okinawa! It passed nearly two months since my visit to Okinawa. Nothing except serveral scratchings on travel planning and accommodation there (Nago International House) was shown up this blog thereafter, though. Impressions upon my arrival in Okinawa include "peace", "calm", and "zephyr". The peace and calm can go together in terms of life style of Okinawa residents. The zephyr was what I experienced for the first time in my life; the real tropical wind flow touching me on the face all through my stay there. Visitation places were the mixture of historical, cultural, and entertainment basis with the help of ex-JOCV residing there (born in, also). Fortunately, I could escape from forest rainfall chasing me on the verge of rainy season. I will make sure that site photos with comment be ready on this blog soon. 2,500 yen per one night! This rate can go down to 1,300 yen for over eight nights. Nago city government offers accomodation at Nago International House in promotion of international friendship exchange. The House is located near coral beach as shown below. For more information, you can get English version of leaflet and guest guide. I have several hours to go to Okinawa island for my refreshment. Right now, luggage packing completed. Information from Okinawa Convention & Visitors Bureau was great help for visit planning. A certain ex-JOCV member gave me a big hand, too. More message drops are supposed to be shown in this blog upon my return on 7th of May.